April showers have been frequent as of late, and I’ve found the best way to combat them is with pops of color! Finding a bright, happy closet staple, one you know can cheer up any dreary day, is a spring strategy I stand firmly behind. Idea #1? This little number, that’s under $30! I love the flowy fit and eye-catching shade of pink it’s in, although it comes in green as well! 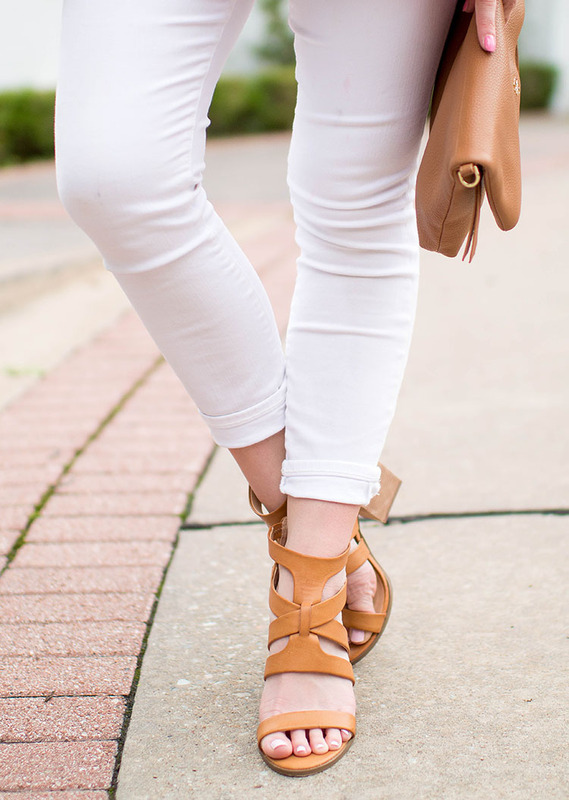 Throw on white skinny jeans and your favorite wedges and you’ve got a low-maintenance, easy spring outfit. Hope everyone’s week has been off to a great start! I’ve been in Oklahoma City the past couple days having so much fun. Even went sailing last evening for the first time ever! (Head to my snapchat, LonestarSnaps, for a look!) We were so happy to get in a beautiful day yesterday, because apparently crazy storms are headed our way this evening. Hope everyone is staying safe and dry! 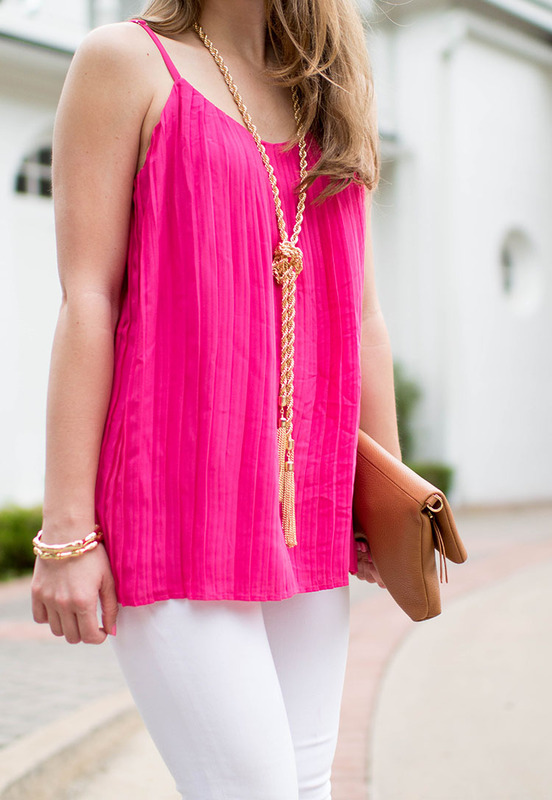 Obsessed with that tassel necklace! Too cute. 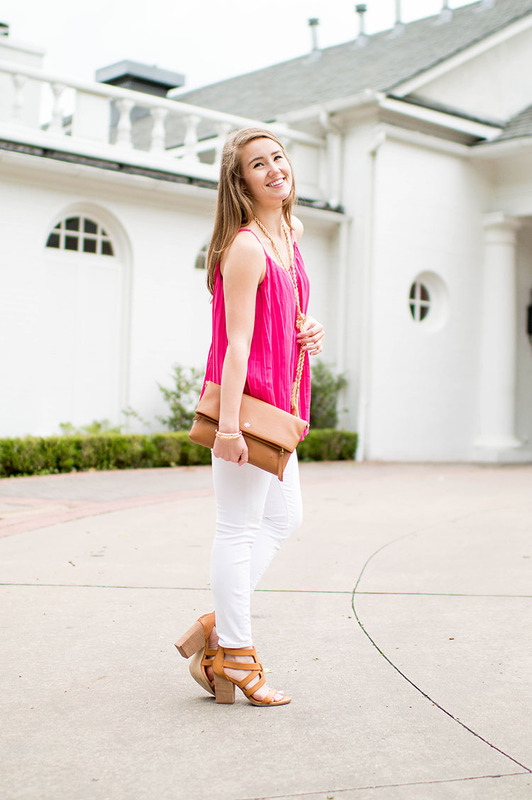 Your wedges are absolutely adorable, and I love how your shirt and necklace compliment each other! I love the top!! PERFECT for the summer! I am loving that tassel necklace! Gorgeous!! I love the pleats! Pink is definitely your color. 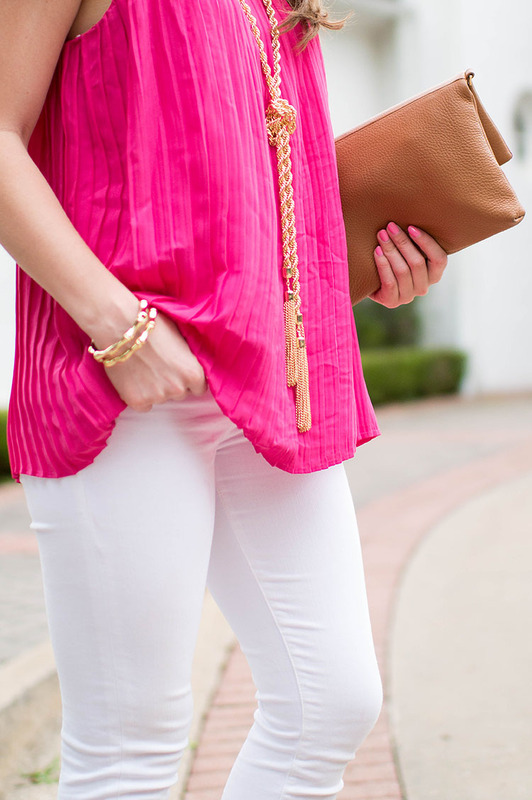 Love this outfit especially the pink with the gold necklace! I love this top! It’s so cute and flowy and perfect for bringing light to rainy days (we’re set to get rain all week here in Ohio)! I love how bright and cheery this top is, perfect for the warmer months! You look great, love the pink shirt! Love this whole look! Literally, everything about it!! 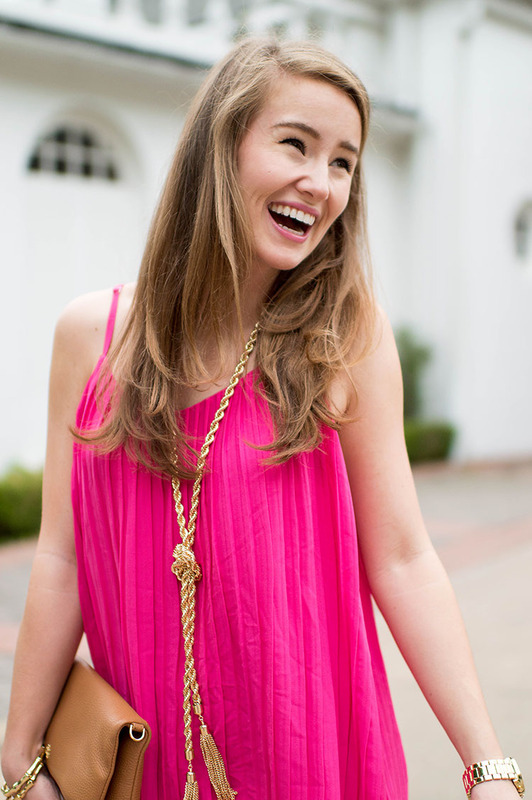 Love this flowy pink tank! So pretty.